Hi darlings. 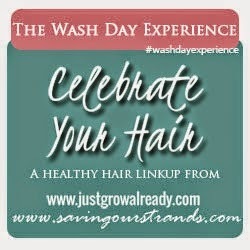 Perhaps you already know about the September wash day experience themes. If you don't, last week's theme was 'Uncharted territory' and many of us stepped/jumped/ran out of our comfort zone. This week we're scurrying back with the theme 'Tried and True'. Wash day was on saturday. My hair had no special requests this week, plus I had places to be so I kept it very simple and familiar. 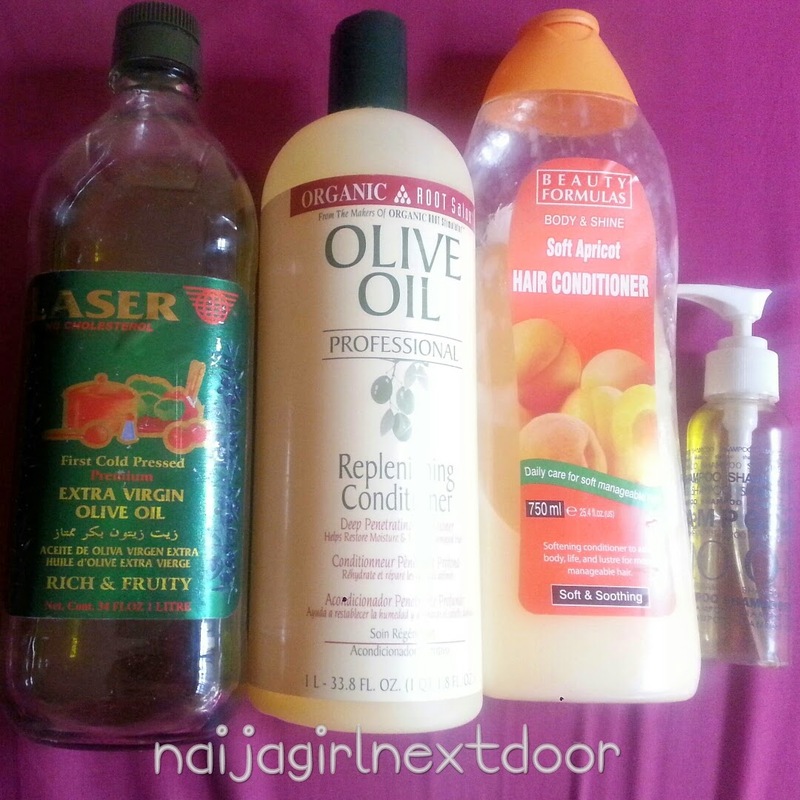 Dc dry hair with ORS Replenishing conditioner + olive oil. I applied, finger detangled in sections and put in twists for easy washing. For heat: a plastic cap, then a small towel dipped in very hot water, then a shower cap. I left it on for over an hour. Rinsed and cowashed with Beauty Formulas Apricot conditioner. It's comparatively new but it's been tested and found worthy. My twists as usual came undone. Dried by loosely wrapping with a towel and letting it drip. Sealed my damp hair with my mix of coconut and olive oil. No significant tangles to work through. I put it up in a ponytail to dry completely and went out shortly after. No muss, no fuss and my hair felt good. I could get used to this. Two days later I put in big twists. They're becoming another go-to in my transition. I'll say it again: EVERYTHING is easier in twists: washing, moisturising, quick styling in the morning (all I do is pin up). How was wash day for you? 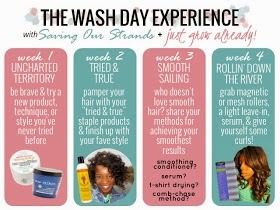 Join the wash day experience link up over here. EVERYTHING is easier in twists/braids/sections! Absolutely true in my book. Just thinking about trying to wash my hair when its not in sections gives me heart palpitations! Don't mind me o. It was a uneventful wash day so I forgot to take pics until it was time to post.